it’s been a little while since we’ve added to our online portfolio, so here’s some eye candy for all of you! we finished both of these projects in the last few months and were very happy with how they turned out… even better though, our clients were over the moon. and that, more than anything, is what it’s all about! 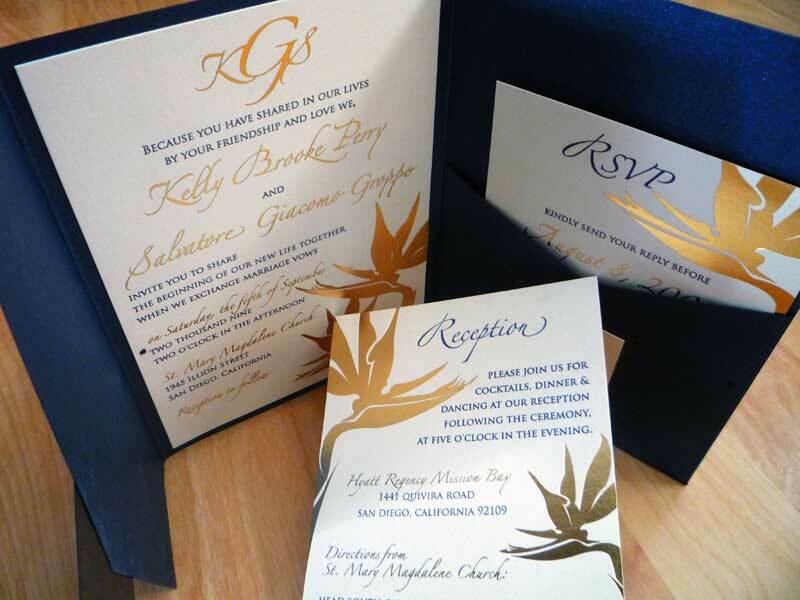 first up, kelly and sal – an elegant combination of irradescent navy blue and cream, foil stamped all the way through with a pair of beautiful birds of paradise in gleaming gold. 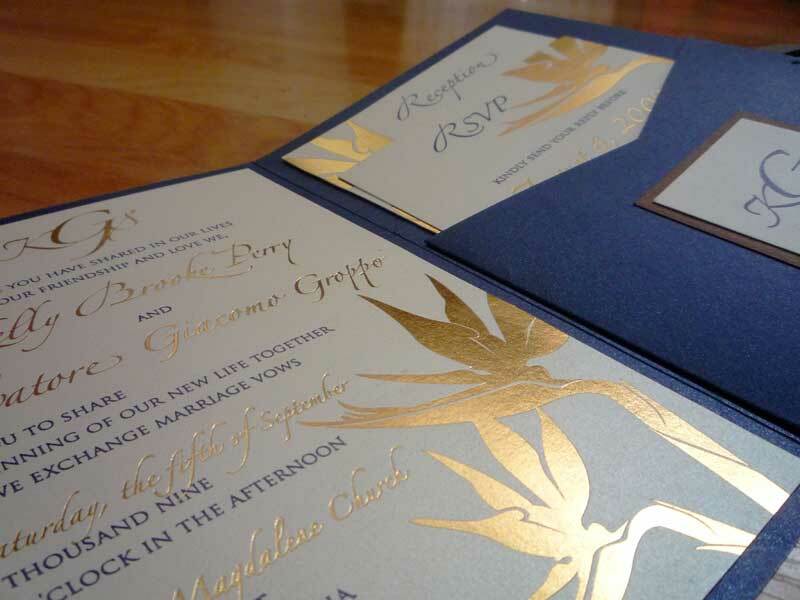 from the invitation card to the monogrammed seal, it all comes together magnificently. incredible what a little glimmer does to glam up the whole package. very fitting for such a wonderfully classy couple!